This lesson covers various geometry fundamental. For more detailed, focused lessons consult Lessons 2 and 8 in the math toolbox. Welcome to the POLYGONS/AREA/PERIMETER instruction unit. DO YOU KNOW WHAT A POLYGON IS? What is the sum of the exterior angles of any triangle? What is the measure in degrees of the angle x shown below? What is the average measure in degrees of the angles in an octagon? 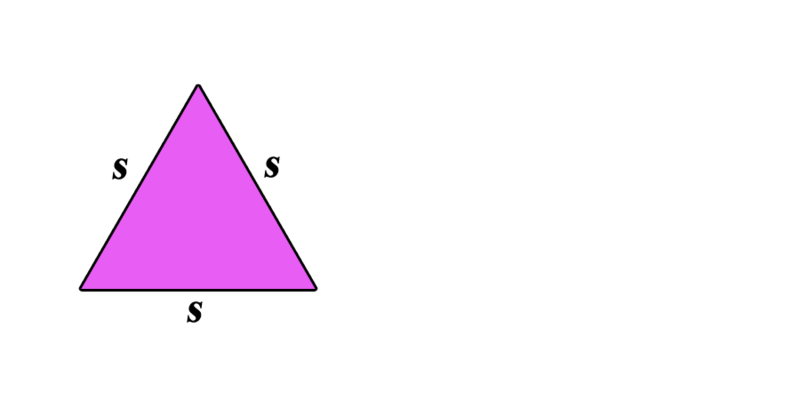 What is the sum of all the angles in a pentagon (in degrees)? If I have a triangle with integer side lengths and a perimeter of 6, what are all the possible side lengths? One ship sails north 3 miles. Another sails east 4 miles. How far apart, in miles, are the two ships? What is the length of the hypotenuse of a right triangle with unit length sides? The area of a triangle equals 1/2 x Base x Height where the height is the perpendicular distance from the base to the top of the triangle. It may be easier to see this relationship by observing that a second mirrored triangle forms a parallelogram or rectangle as shown. The area of the rectangle is Length x Width or, in this case, Base x Height. You may be familiar with manipulating expressions and equations to solve an algebra problem. Analogously, it is often useful to rotate or otherwise manipulate shapes in geometry to transform the given shape in a problem into something we know and can evaluate like above. The original triangle and the mirror image of the triangle form a rectangle. The next problem is one you might see on the exam that would require you to use this intuitive technique. 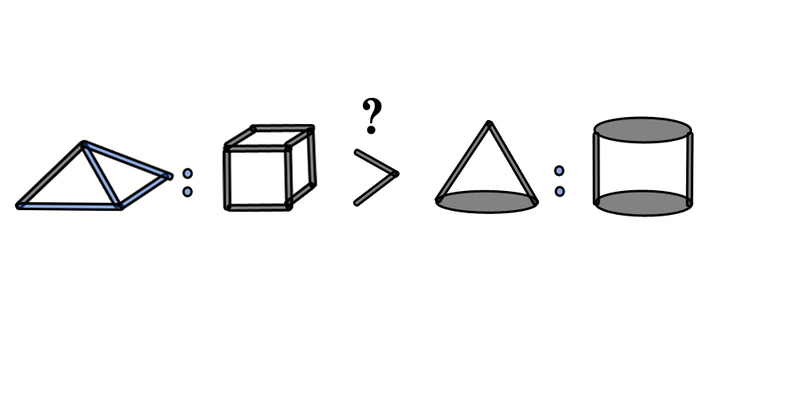 What is the perimeter of the following shape? Another approach to manipulating geometrical shapes is to break them apart and form a new shape of known area or perimeter as above. How might you go about solving for the area of the following irregular shape? How can you calculate an area if you are not given the height? Can you answer the following question? 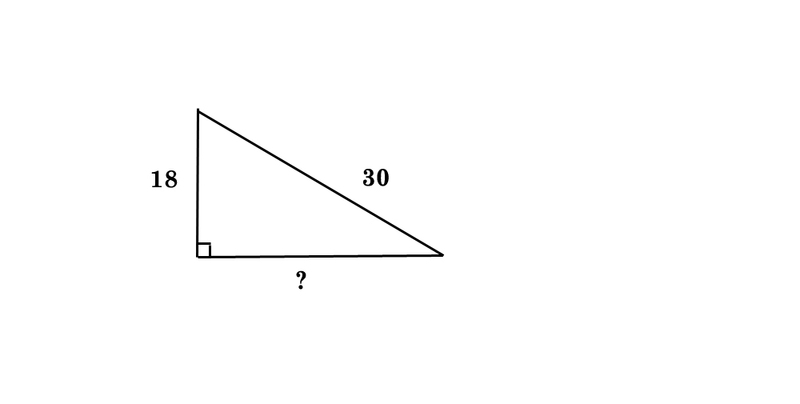 If the area of triangle BDC is 24 square units, then what is the area of triangle ABC? If the area of right triangle ABC is 125 square units, then what is the area of the triangle shaded in blue? What is the area of the following trapezoid? Let's review some basics about squares and cubes. If I increase the length of each side of a cube by 20% then what is the percentage increase in the... a) perimeter of one square face, b) area of one square face, c) volume of the cube? 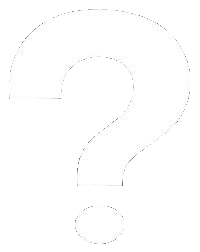 If my circle and sphere have radius 5, then what is the circumference and area of my circle and what is the surface area and volume of my sphere? Assuming the same height and radius or side lengths of the base, is the ratio of the volume of a pyramid to a cube (or rectangular prism) greater than, equal to, or less than the ratio of the volume of a cone to a cylinder? The experiment would also theoretically work based in two cities or locations not on one of the tropics at a longitude of 23.5º. The shadows in that case would both be non-zero at noon on the solstice, possibly introducing added measurement error. The necessary measure is the difference of shadow angles measured between locations. It is the difference that corresponds to the angle from the center of earth to the two locations. The benefit of Syene at 24º longitude is that it did not require a measurement and would not introduce additional errors into the process of measuring—no shadow or 0º angle provided an ideal baseline. However, that assumes the sun is exactly overhead and it is now known there is a slight difference between 23.5° and 24º, so there was some error introduced by using Syene in either case. At least the use of Syene allowed Eratosthene to never leave the luxury of Alexandria! Would you prefer a location to the north or south or a location east/west or anything in between? In theory any direction could work as long as there was curvature of the earth and lightspeed communication available. Unfortunately, the earth rotates and the sun therefore moves across an east-west trajectory in the sky, and that would make an east-west design impractical. If the earth rotates one half circle or 180º in 12 hours that is 15º per hour or 1° every 4 minutes. That is a large portion of the angle being measured (~7º). Simultaneous measurements would have to be taken and how could that possibly be achieved with accuracy 500 miles apart in the absence of iPhones (lightspeed communication)? A north-south position would eliminate the impact of the earth’s rotation and make measurements easier and more reliable. There is a very good reason Eratosthene chose the 2nd location of Alexandria and it had little to do with the luxury of staying home. The nearly 500 mile distance was the longest well surveyed stretch of flat land (Egyptian surveying was among the best of the time and the distance between the two cities was measured annually) along a nearly meridional (north-south) line. Similar measurements were made a century later, but without an accurate distance between locations, none stood up to the reliability of Eratosthenes’ results. In addition, the entire experiment depends on a vertical column perpendicular to a surface that in theory represented an exact sphere. What if the measurements were against a miniature version of the leaning tower of pisa (not yet to exist for almost 2,000 years)? In other words, any small deviation from vertical would change the shadow length and the entire angle measurement. Even 1º is an unacceptable error. Could you design an experiment on the east coast near NYC or Washington with similar tools Eratosthenes had at his disposal? Why or why not? What equipment would you use if you were Eratosthenes to avoid this error? Part 5 (the final part) begins on the Means/Median page.